While I am writing this post, the third meeting of the Open Government Partnership is taking place in Rome, Italy. 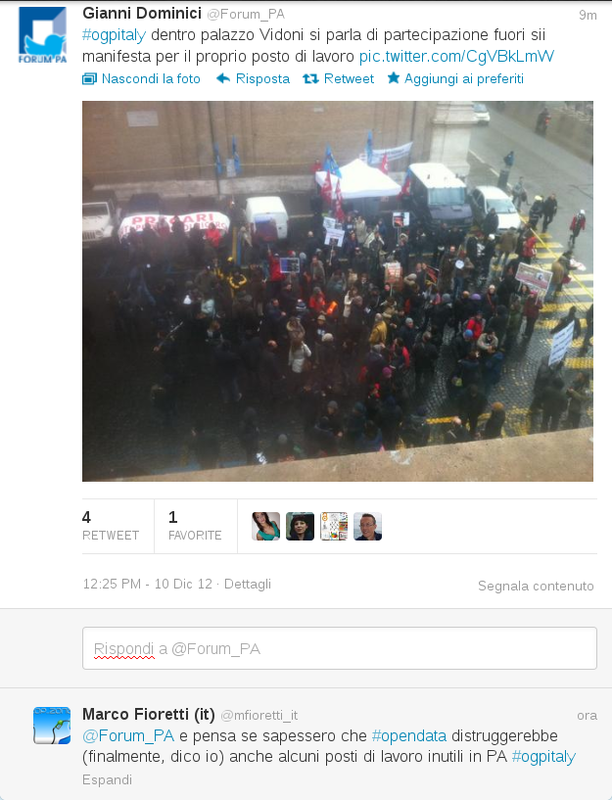 As you can see in the snapshot, one of the participants just tweeted: inside this building we’re talking of participation, outside people are protesting to defend their job. My answer, also in the snapshot, was “and think what they would do if they knew that Open Data would also (finally, if you ask me) destroy some useless jobs inside Public Administrations”. Why? 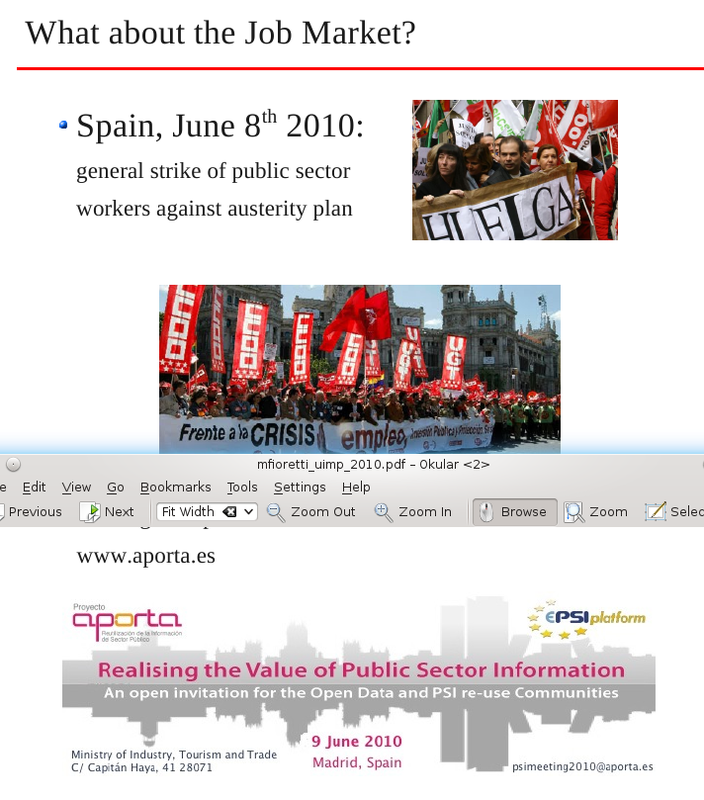 Well, this other snapshot shows that I found myself in basically the same situation two and a half years ago at another Open Government meeting in Madrid: experts “Realising the Value of (Open) Public Sector Information” inside, general strike of public sector workers against job cuts outside. In other words, if we’re going to lose lots of Public Sector jobs anyway, being lucky means “let this happen only to the less necessary jobs”. Let at least all citizens be as sure as possible that the ones lost are exactly, only the jobs that will cause the smallest possible problems to welfare, and society as a whole. Public Sector unions will scream like hell for sure, but if the experts (have the courage to) clearly acknowledge and explain that this is how things actually stand, not only the majority of people won’t oppose Open Data: eventually they may even, you know, like, demand them. What have they left to lose? Their current job “security”?